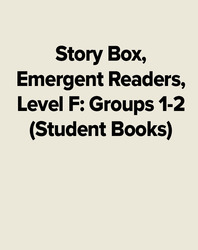 A comprehensive reading program, The Story Box focuses on building skills using a variety of instructional and classroom practices. Shared reading and guided reading lay the groundwork; literacy centers, content-area centers, and resource centers reinforce skill study and invite students to practice with hands-on word games and activities. The Story Box is an inviting, integrated classroom reading program structured to help each child realize their reading potential.